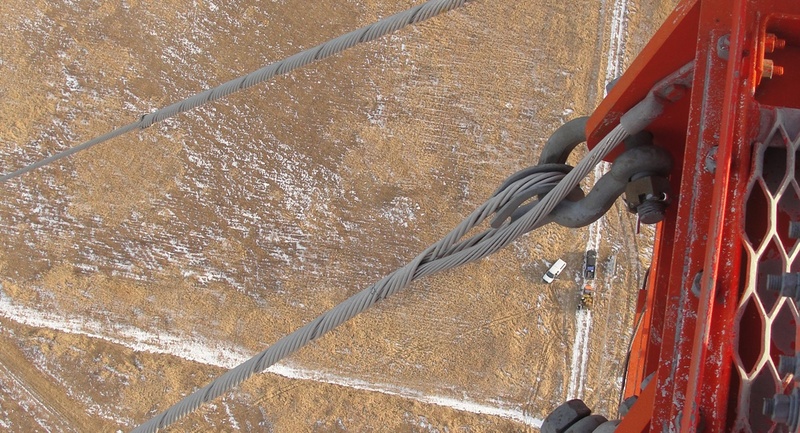 The project was to disassemble a 730-foot Guyed Loran Tower. 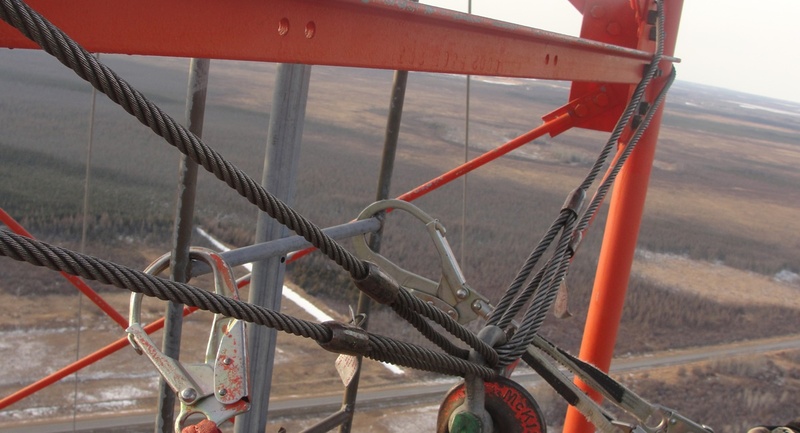 The tower was located at the USCG’s Loran Station Baudette, Minnesota. The tower had 12 TLE lanes, 3 guy lanes, and 5 guy levels. The tower structure was made up of solid legs, angle iron, and steel cross members. The tower also had 3 levels of steady burning sidelights and 3 levels of flashing beacons totaling 14 light fixtures. The tower was disassembled in 20-foot sections using heavy crane equipment.